This is a guest post written by Marsha Kelly. 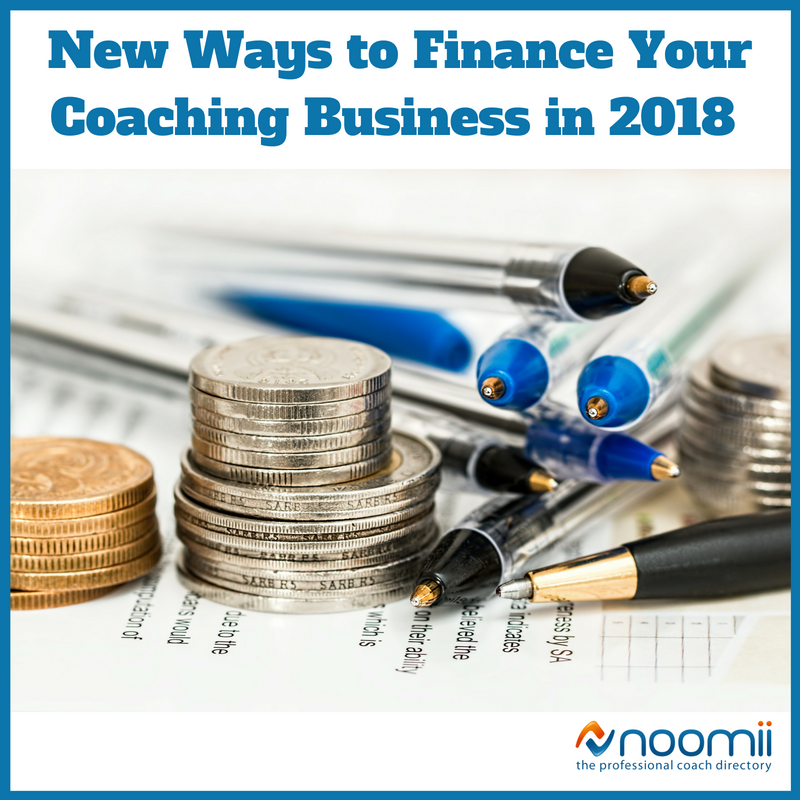 As a professional coach, you know that, like all businesses, you need financing to meet working capital needs, gaps in cash flow and money to expand and scale your coaching practice to new heights. However, you have probably also encountered your share of bank loan rejections. Take heart, while some types of traditional small business loans, such as SBA or equipment loans, may be unobtainable for coaches, there are many new types of financing developed specifically for growing service businesses just like yours. To fuel the growing digital economy, financial institutions have developed creative ways to finance professional agencies, referred to as Fintech. Whether you are looking for start-up funding, working capital or expansion funds here are three attractive business financing options for you to pursue. If you are ready to leave the corporate world and launch your coaching practice full time, a rollover for business startup(ROBS) could be a good option. This creative legal and financial setup allows you to access the funds in your 401(k) retirement account with no penalties or taxes for early withdrawal. Importantly, this is not a loan which is secured by your savings account, so no repayment is necessary. I highly recommend you contact an experienced professional to set up this specific transaction. It works like this: your coaching practice is formed into a C type corporation and issues stocks. You, as an individual, purchases these within our 401(k) as an investment. Then your coaching practice receives monies from the stock purchase for startup expenses. Also, if your current employer has been matching your retirement savings contributions, your boss is really funding your startup! That makes me smile to think that your company job is helping you become a coaching entrepreneur!. You may experience what many successful coaching practices do, occasional gaps in cash flow. This deficit between accounts receivable, unpaid invoices and current business expenses can be closed with a working capital, line of credit loan. In the past, these types of loans were unavailable for home-based or independent practitioners such as coaches. However, smart bankers know that your type of business is profitable and growing, so they have created a line of credit loans that you can get approved and funded within days. Instead of requiring security or collateral for these loans, these companies (I recommend Kabbage), use your actual business metrics to approve your application. In fact, you do not have to fill out any paperwork. You simply allow Kabbage to safely, with the highest level of internet security, connect to your online accounts such as, PayPal or QuickBooks and many others, and the computers do the analysis and will often approve you instantly. For my consulting practice, I used this type of loan to great success. It helped me to invest in marketing campaigns such as online advertising, which boosted boost my business. Then, with the proceeds of those new coaching clients I paid back the line of credit loan. Coaches who have corporate clients and invoice every 30-60 days can use those unpaid invoices for financing their practice by factoring them. Factoring, or invoice financing, is a process where the lender will advance you money, up to 80% of your unpaid invoices, which you pay back when the customer pays you. Not all factoring companies accept professional services such as coaching. However, Fundbox has a dedicated team focused on businesses such as coaching. You can also factor unpaid invoices from clients, speaking engagements or events for business capital. The application process is entirely online, very simple and superfast. Once you opened a Fundbox account and connect it with your online accounting, such as QuickBooks and others, you can with one click, finance or factor any invoice in your system and receive money within one business day. This can be an excellent type of financing for coaching practices that are scaling up because you can borrow up to $100,000. Now that you have seen learned about the new ways to start, finance and fund expansion of your coaching business in 2018. The next move is yours. What will you build and how will you help more people with coaching with additional funds? Marsha Kelly sold her first business for more than a million dollars. She has shared hard-won experiences as a successful serial entrepreneur on her Best4Businesses blog, where she also regularly posts business tips, ideas, and suggestions as well as product reviews for business readers. As a serial entrepreneur who has done “time” in corporate America, Marsha has learned what products and services really work well in business today. You can learn from her experiences to build your business. Follow her on Twitter.